Thanks to Tony Hudson who took some great photos at start/finish line. What an incredible evening Night Moves 6 was. After the success of Night Moves 5 and the normal chilly and wet Decembers we usually have in NE Indiana, we were ready to call it good on the season after Race 5. However, the community we've seemed to create convinced another race was possible, regardless of the weather. 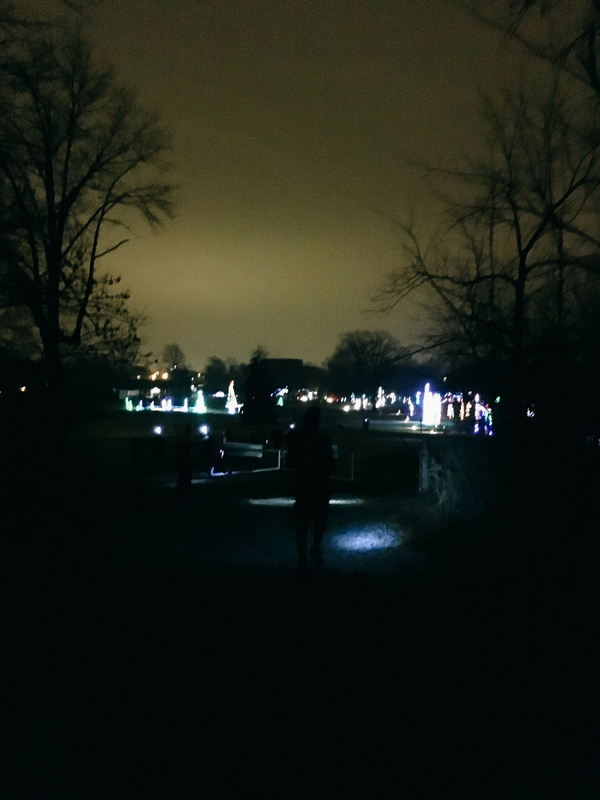 That combined with the fact that our office-mates and friends at Blue Jacket, Inc just took over the operations of the Fantasy of Lights, which is a Christmas light display that runs a 1.1 mi loop in a local Fort Wayne Park. They suggested we have it at Fantasy of Lights at 10pm when the car traffic would be ending. We couldn't resist. We still had some concerns because the route would either be a slightly boring 3-loop course around the paved path, or it would have to incorporate the grass fields and mountain bike trails surrounding the course. 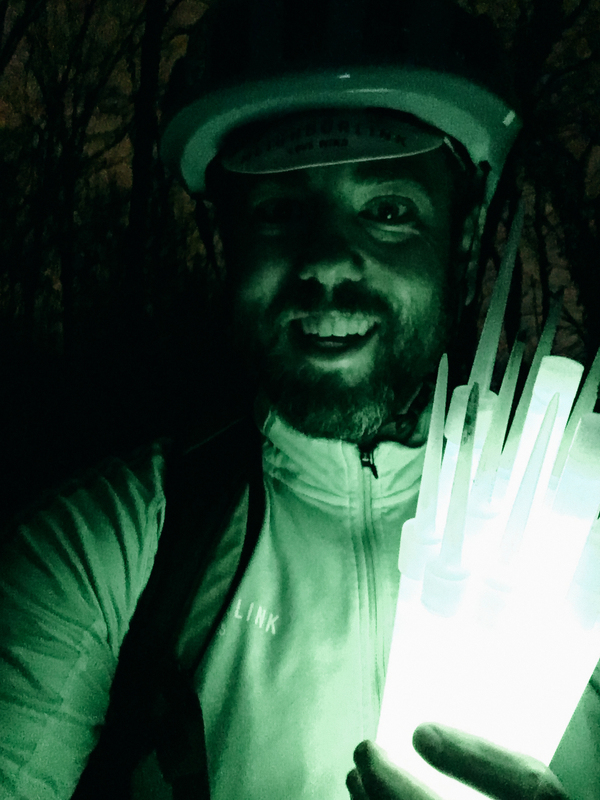 We've never hosted a trail run before and we're not familiar with what runners are up for and had concerns about trail running at night on a pretty root filled course. 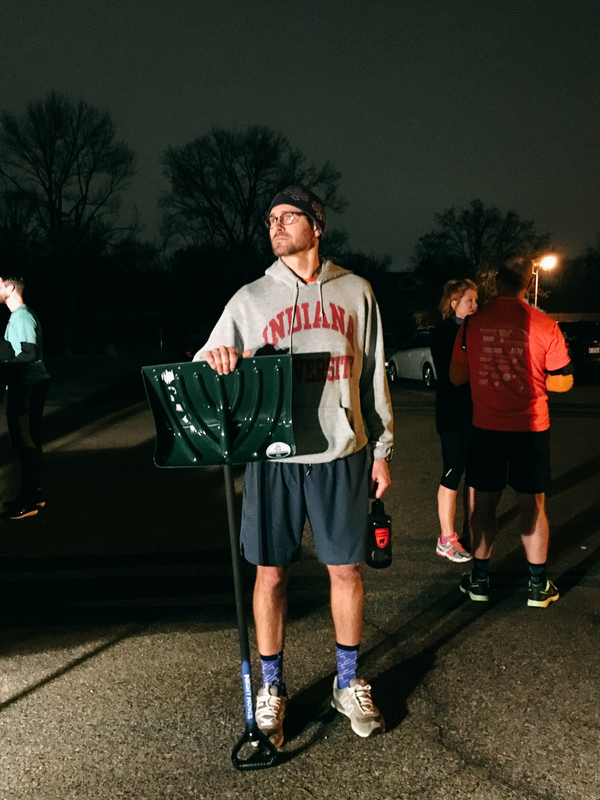 The Night Moves runners said it's a non-issue and that they wanted to run, even if it was muddy and wet. We've learned not to argue and just make it happen. So that's what we did. 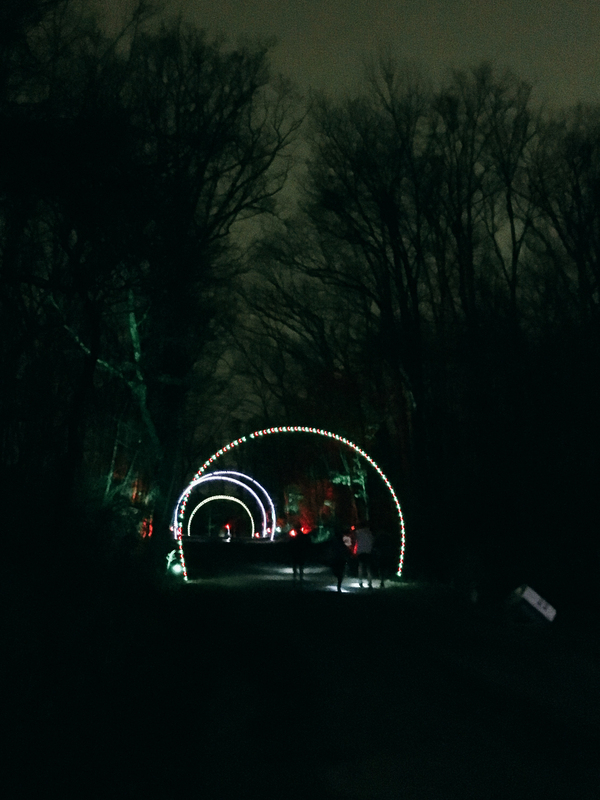 Night Moves Race 6 took runners on a 3.5mi course that mixed in pavement, grass fields, trails, hills, gravel, and the entire light display. We had fast and experienced trail runners all the way a walker who completed their very first 5k event like this. 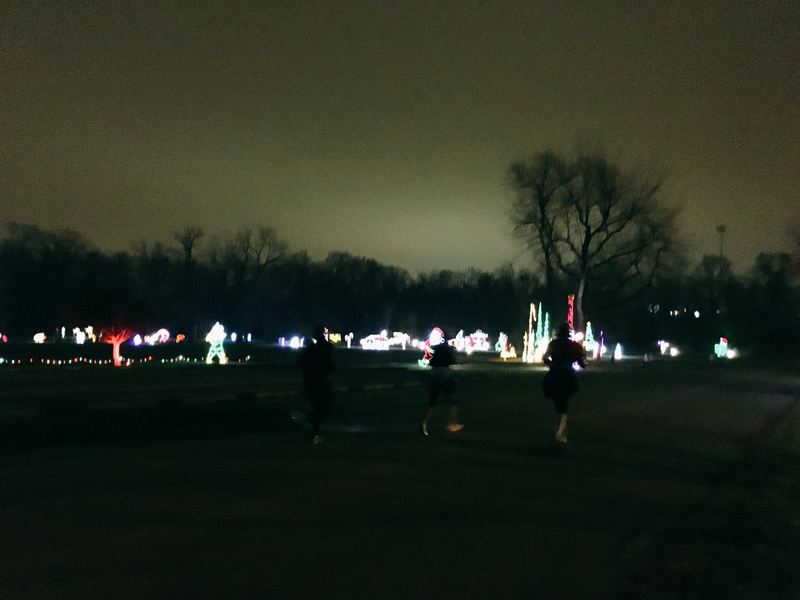 We had runners dressed up in Christmas outfits and several runners were in just shorts/t-shirts due to the abnormal 55 degree December night weather. We even had quite a few runners that have done each race in the series, which we're grateful for. That's support! We can honestly look back and say that each race was better than the one before it and this one could easily be called the best one yet. Everything seemed to come together just right. Volunteers, route, partnership with Blue Jacket, sold-out event, relatively dry trails, and the weather was perfect. We welcomed two new event winners to the series with Ben Steele finishing with a time of 23:32 and Carmen McGee with a time of 29:31. Both took home a custom painted snow shovel and a prize pack from our friends at Human Motor Works. Thanks, HMW for the caps, lights, & bottles. 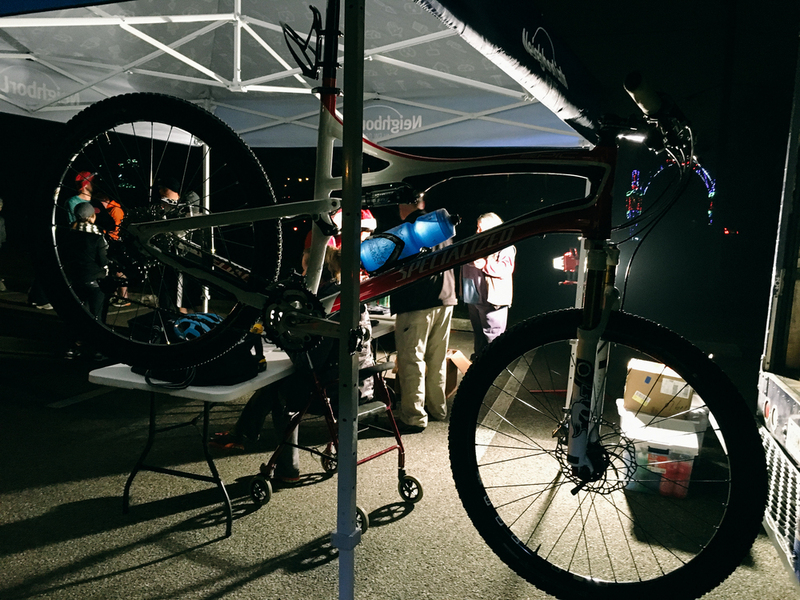 We appreciate the support with Night Moves, the $3500 you all helped us raise for roofs and furnace projects at NeighborLink Fort Wayne, and for the positive vibe throughout each race. We'll be back in 2016 with a full race series throughout Fort Wayne. If you'd like to contribute to the planning of future Night Moves, we'd love to put together a planning team and would welcome your investment of time. We need all the help we can get. Email Andrew @NLFW.org with a note.